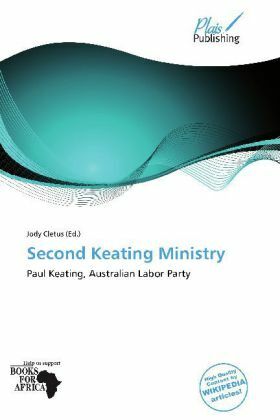 The Second Keating Ministry was the sixtieth Australian Commonwealth ministry. It was led by Paul Keating of the Australian Labor Party, and held office from 24 March 1993 to 11 March 1996. It was succeeded by the First Howard Ministry following Labor's defeat at the 1996 election. Paul John Keating (born 18 January 1944) was the 24th Prime Minister of Australia, serving from 1991 to 1996. Keating was elected as the federal Labor member for Blaxland in 1969 and came to prominence as the reformist treasurer of the Hawke Labor government, which came to power at the 1983 election.